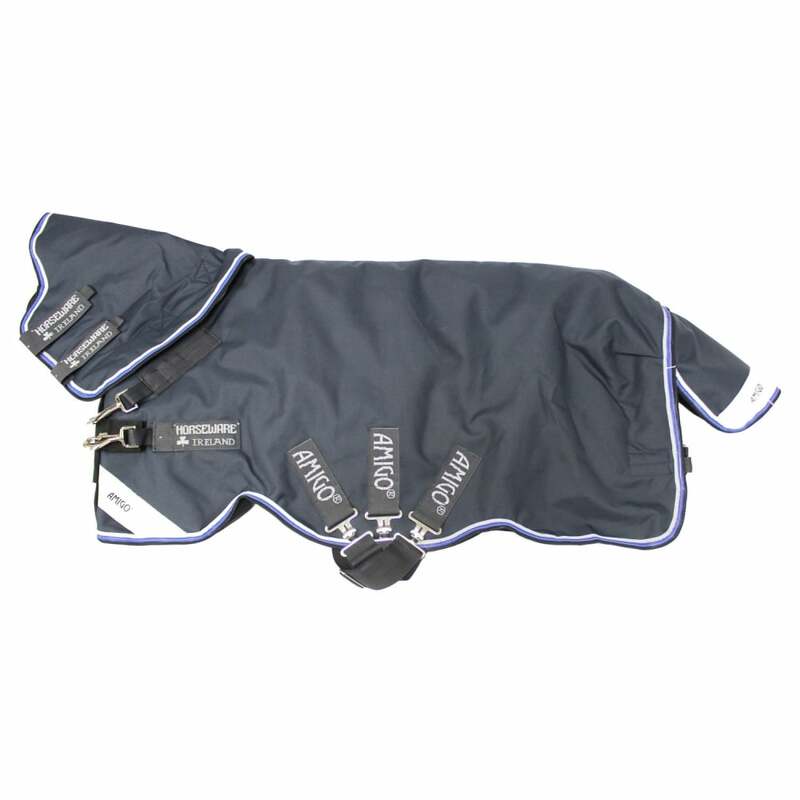 The Amigo Bravo 12 Plus Lite Turnout Rug is a strong, durable lightweight turnout with a detachable neck cover included. The outer is made from a 1200 denier polyester with a shine enhancing polyester lining and no fill. The Bravo 12 Plus Lite Turnout has a V-Front closure for comfort and cross surcingles to keep the rug in the correct place. The reflective strips are branded with Amigo and help to improve the visibility of your horse.